shopping for great gifts, Seattle has it all. 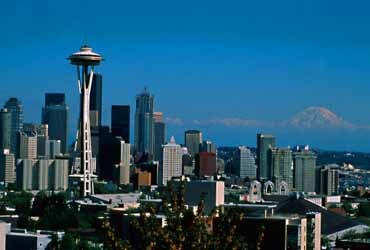 Pacific Northwest are also popular locations for hikers, skiers and mountain climbers. Ski resorts such as Crystal Mountain offer world class accommodations and ski runs. Mount Rainier has long been associated with Seattle and lures hikers and climbers to its snow capped peak. Tillicum Village is located on one of the San Juan Islands and teaches visitors how native tribes lived around the waters of Puget Sound. Museum, the Burke Museum of Natural History, the Frye Art Museum or the Bellevue Art Museum. 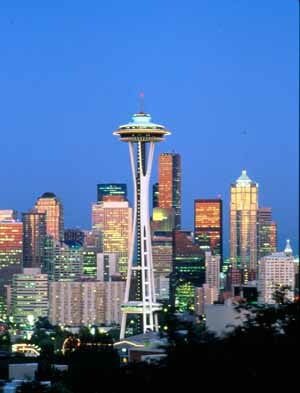 One of the most popular tours in the Emerald City is the Boeing Aircraft assembly plant. You'll be able to see jumbo jets as they're built inside the largest hanger complex in the world. 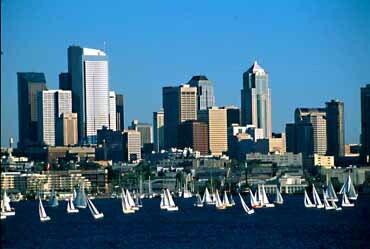 Seattle has something for everyone.